The Fluke 2620T RecordingThermometer is a precision multi channel temperature recording and logging instrument that delivers up to 0.1 degree accuracy (3 sigma, one year accuracy specification) for temperature monitoring and calibration applications. 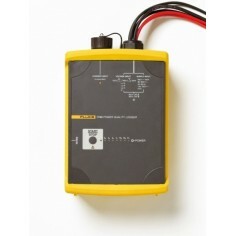 Based on Fluke"s popular 20 channel, new Hydra Series II data loggers, these units are matched with a precision SPRT probe (RTD) on channel one and calibrated as a system for maximum accuracy and precision. The unit is delivered with current calibration data, ready for use. This recording thermometer includes a NIST traceable and DKD certified calibration (with certificate) that covers the Hydra Series II and probe as a system. A soft protective case is supplied to protect the probe when not in use. Hydra Logger Software is also included for support of basic data collection and easy instrument configuration. 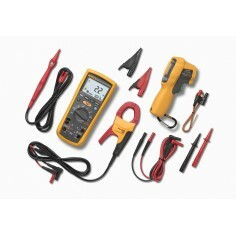 Optional Trend Link for Fluke trending software (model 2600A-904) is also available for electronic chart recording display and analysis. In addition to being a precision thermometer, it is capable of measuring up to 18 additional channels of thermocouple, dc and ac Volts, frequency, and 2-wire Ohms. A total of 10 RTD probes can be connected and recorded at one time. 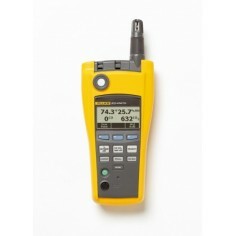 The Fluke 2620T is based on the Hydra model 2620A data acquisition unit. This unit passes data directly to an attendant computer for real time collection and data storage using supplied software. The 2620T may also be monitored from the front panel display without being connected to a computer. *1 year, 18° to 28° ambient, slow measurement rate. IEC 751 Amendment 2 (ITS90); 2620A algorithms are based on IPTS68. All specifications are based on 3 standard deviations from nominal value (3 Sigma). Actual measured point values are often ten times better than published specifications.